Thailand’s biggest private company, Charoen Pokphand Group (CP Group), has allegedly acquired OmiseGO’s parent company, Omise, for $150 million according to a still standing report by a new VC backed news media site, The Block. The report is unequivocally denied by Omise, an establish payment processing company in Asia. Interestingly however OmiseGO, their subsidiary, has not put forth such denial. The CEO of both, Jun Hasegawa, has again denied the report that specifically Omise, the Payment Gateway, has been acquired. The OmiseGO ICO sold out before it even started in 2017, but this specific mentioning of Omise and almost no mentioning of OmiseGO might be interesting because perhaps there was some confusion somewhere. Apparently there are five airtight sources with no agendas and separate from each other behind this story. In addition The Block seems to almost reflexively court denials with, at least so far, their story usually confirmed with an official announcement a few weeks later. 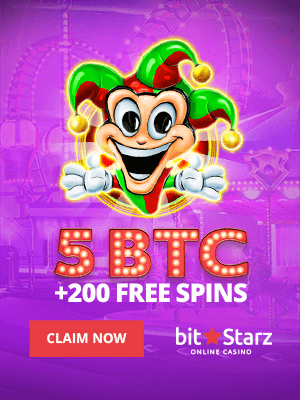 They seem to have a way of getting people to spill the beans with their “target” then sort of caught off guard, but also they do at least so far appear to not take great care of the details. Presumably there is some sort of deal going on and it has perhaps finalized, but what exactly are the details of that deal probably remains somewhat hazy perhaps even to the reporters or maybe even to the sources. 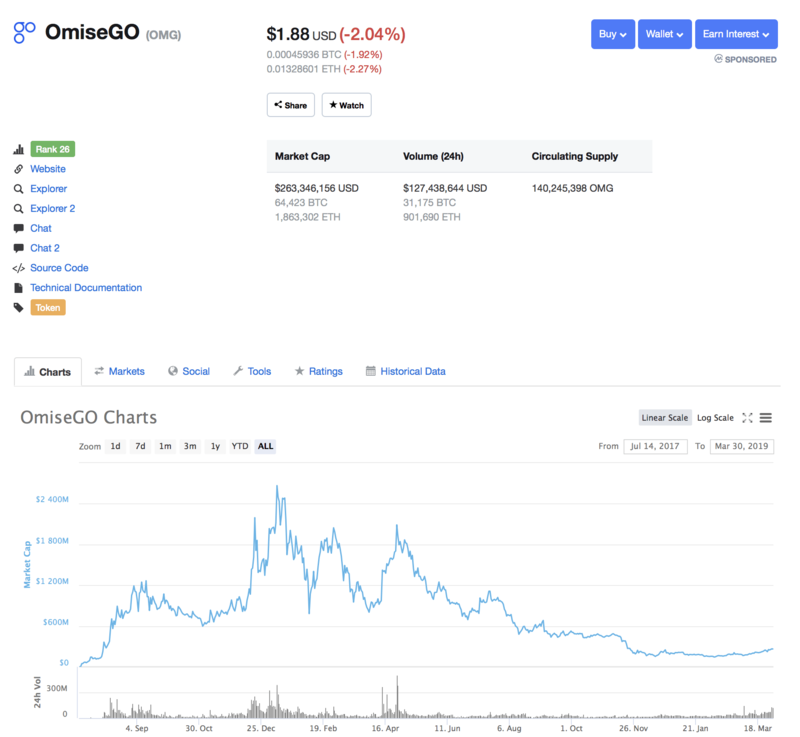 OmiseGO price stats, March 2019. If this is early stages and maybe not quite fully, fully, finalized, then arguably Omise would not quite be lying with their denial. Likewise, if it is not quite an acquisition but maybe sort of an acquisition, then one can always rely on the little detail as Vlad Zamfir did in initially denying reports he was leaving to another company, to then say he was joining the new company, but not quite leaving ethereum. In other words, if we had to bet based on limited information, it is probable Omise wanted to make an announcement in its own terms, rather than having pesky journalists straight out report without sugaring things. On the other hand, if The Block has made a big blunder, then this spilling beans thing will probably have to go out of the window. If, however, Omise eventually says in a few weeks after we’ve all forgotten that they are so happy to announce whatever, then hopefully we won’t get these knee-jerk denials any longer unless it is actually warranted. The final point here is of course the detail. Acquiring Omise, acquiring OmiseGO, or perhaps just acquiring a share or some of the tokens, are all very different things. Confusing them can be very close to misleading and not very useful in any event. One can be first while trying to be careful which is usually very difficult so we give them leeway, just as we do if their sources are perhaps, probably unintentionally, confusing things, but adding “rumor” to the title would have dealt with much of it unless they are absolutely sure (within reason obviously), in which case the denial from Omise has to be questioned if they do then later effectively confirm it.